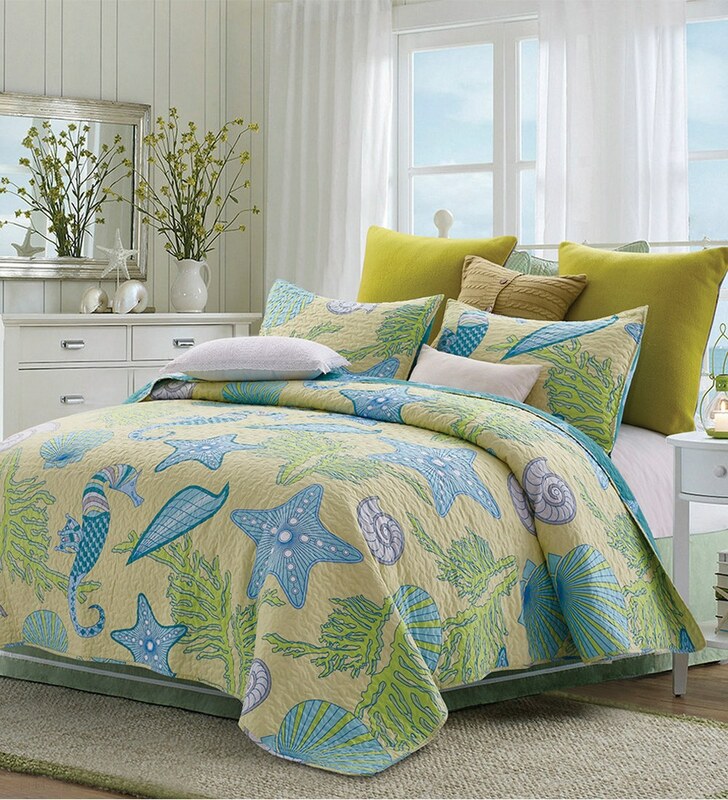 This quilt set will make your bedroom feel like an island vacation. 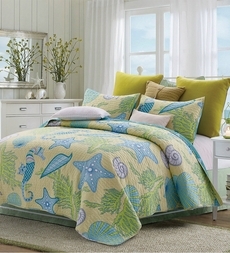 Featuring printed sea shells, sea horses and coral in soothing ocean blue and green on a soft yellow background. Made from 100% soft microfiber cover, this lightweight set has and all-over vermicelli stitching detail. Accent pillows shown on bed not included.